Stephen SPAZ Schnee waxes poetic about one of the most anticipated band reunions in recent memory. 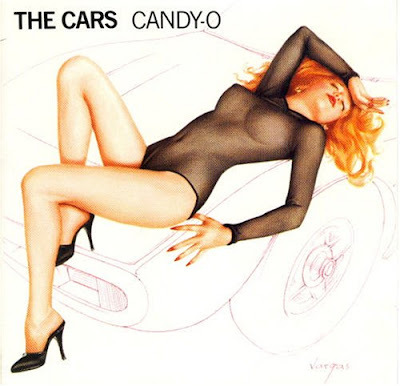 While some initially lumped the band in with the New Wave scene, it doesn't take a genius to realize that The Cars were a band that straddled genres many genres so it was difficult to pigeonhole them into any specific one. Like Cheap Trick, they were loved by the Classic Rock crowd, the Power Pop lovers, New Wave fans and those who followed the Top 40. 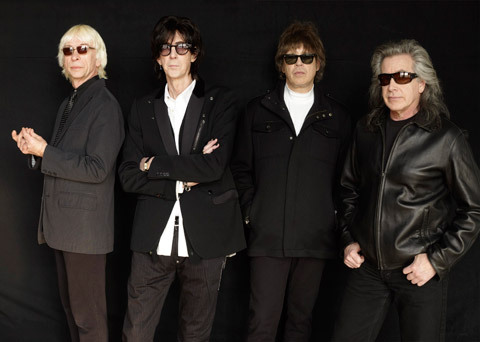 The Cars's unique style mixed a love of Rock 'n' Roll (from the '50s up through the '70s) with all the modern conveniences of the late '70s and early '80s music scene. They were Queen without the Pomp, Elvis without the swiveling hips, The Clash without the political punch and The Osmonds without the sparkling teeth. 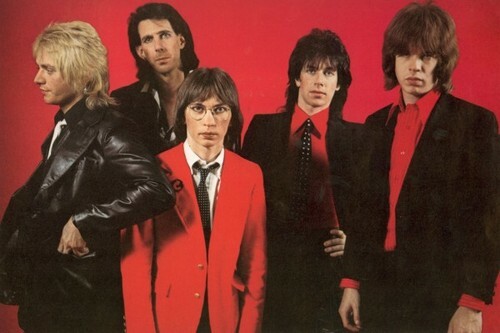 The Cars were one of the few bands that crossed over from Post-Punk cool to commercial superstardom without losing any street cred. In a nutshell, The Cars rocked and everyone listened. While Ric Ocasek, Ben Orr, Greg Hawkes, David Robinson and Elliot Easton may have seemed like a bunch of ordinary guys: together, they made an extraordinary sound. There were many 'quirky New Wave bands' that followed in their wake, but non possessed the magic that helped this Rock quintet become one of the most successful American bands of their era. While I loved their debut album, I was blown away by their 1979 sophomore album Candy-O. That was when my infatuation with their music blossomed into true love. For me, that was when they truly gelled and created their own little musical universe. Every song on that album reminds me of a wonderful time in my life: young love, great music, few responsibilities (I was 16) and filled with optimism. Here we are, over 30 years later and I may have plenty of responsibilities and I'm not so optimistic, yet every time I listen to the album, I can still remember and FEEL like I did way back then when I first heard tracks like "Double Life", "It's All I Can Do" and "Let's Go". The album remains in my Top 25 albums of all-time. Every subsequent Cars album was a joy. From the dark quirkiness of Panorama to the commercial sheen of Heartbeat City, the band continued to play with their sound, never sounding stale. I may be in the minority here, but my second favorite Cars album was their final release, Door To Door , released in 1987. "You Are The Girl", "Leave Or Stay" and "Coming Up You" are a few of my favorite tracks in the band's entire catalog, although only "You Are The Girl" was a hit. The band broke up shortly after the album's release and that was that. When the band's four surviving members first started posting pictures and audio clips on their Facebook page in 2010, it seemed almost unreal. Could it be? Was Rick Ocasek really involved? Was that really David Robinson? And Greg Hawkes? And Elliot Easton? Together? Thankfully, the answer was YES! 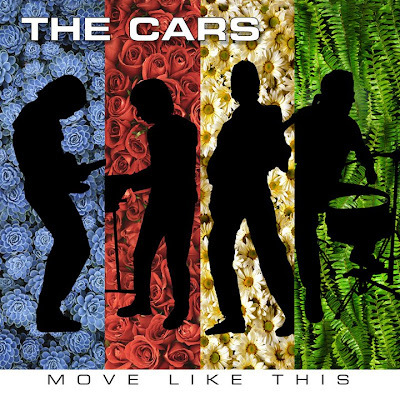 On May 10th, 2011, The Cars release Move Like This, their first studio album in 24 years. From the opening track, "Blue Tip", it's obvious that the band have picked up where they left off so many years ago. While their final release, Door To Door, may not have been a huge success back in '87, it found the band stepping away from the programmed sound of Heartbeat City and returning to the raw and organic feel of their earlier albums. Move Like This takes that same basic idea and gives it even more breathing room. This is an album that is very much a modern piece of work, yet it is firmly rooted in their past. It's exactly what you'd expect from a new Cars album, yet offers so many surprises. Ocasek has written a great batch of songs that are as timeless as anything in The Cars' back catalog. Yes, they sound like Cars songs, but they stand on their own feet. In the past, Ben Orr would have handled lead vocals on at least a third of the tracks, but Ocasek sounds better than ever and he's more than capable of handling the tracks that Orr would probably have sung ("Soon", "Take Another Look" and possibly "It's Only" and "Free). The album's first two singles, "Blue Tip" and "Sad Song", are absolute stunners and stand shoulder to shoulder with any single released during their heyday. Every track here is filled with all the hallmarks that made The Cars one of the greatest Rock bands of our generation including Hawkes' keyboard swirls and blips, Easton's tasty licks, Robinson's steadfast beat and Ocasek's unique musical vision. The buzz is already building on this release and the album more than lives up to the hype. Welcome back, boys. The world has needed new Cars music for years and now we finally have it. I only hope this reunion lasts and we get more new music in the future. How totally bizarre that you didn't even mention 'The New Cars' album and tour. The less about The New Cars said, the better. I consider that an entirely different project, much like Elliot's involvement with Creedence Clearwater Revisited, Ric's solo work (although I did briefly mention that), Ben's Lace album and later live work, David's pre-Cars work with Modern Lovers, etc.